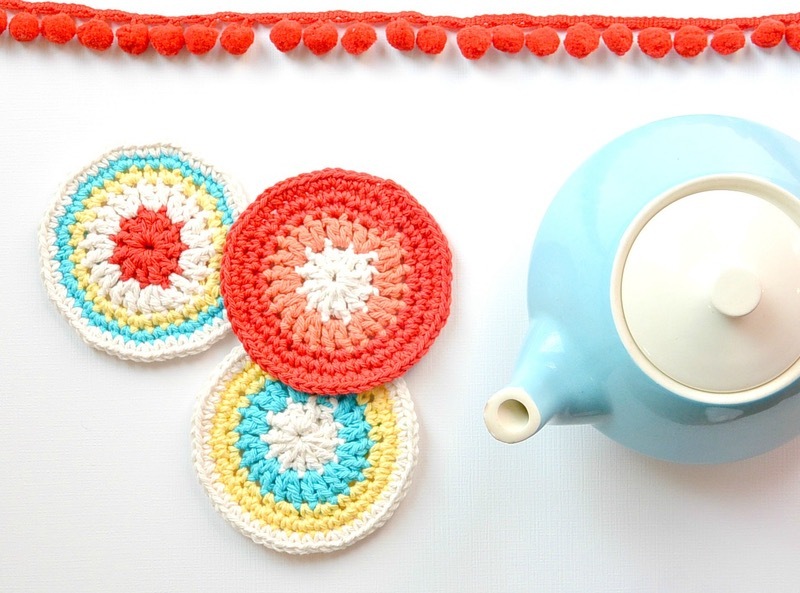 If you have a little spare time on your hands and want to make something beautiful and useful – you’ve come to the right place! 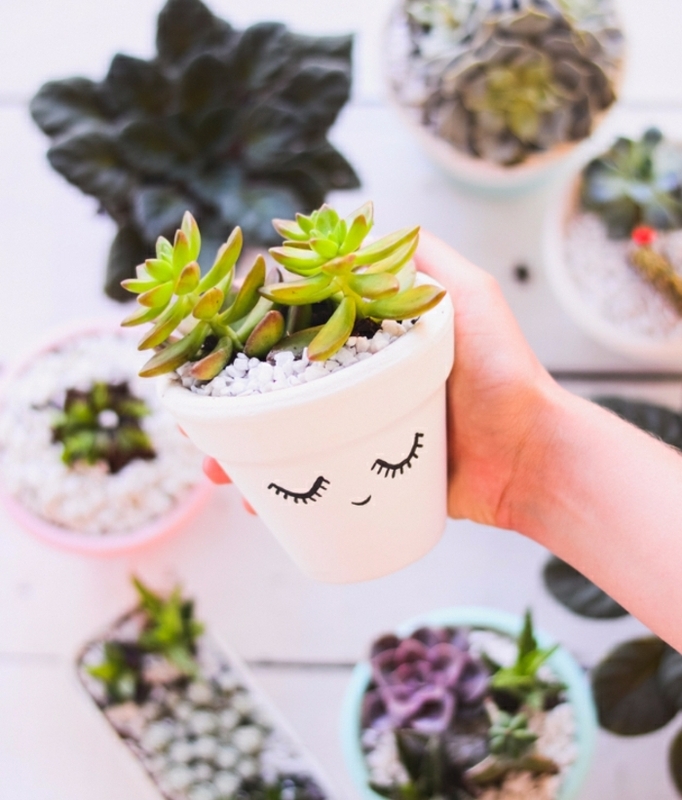 In this article, we’ll show you some clever and creative craft ideas that will help you relax and have fun, while also unlocking your artistic side. 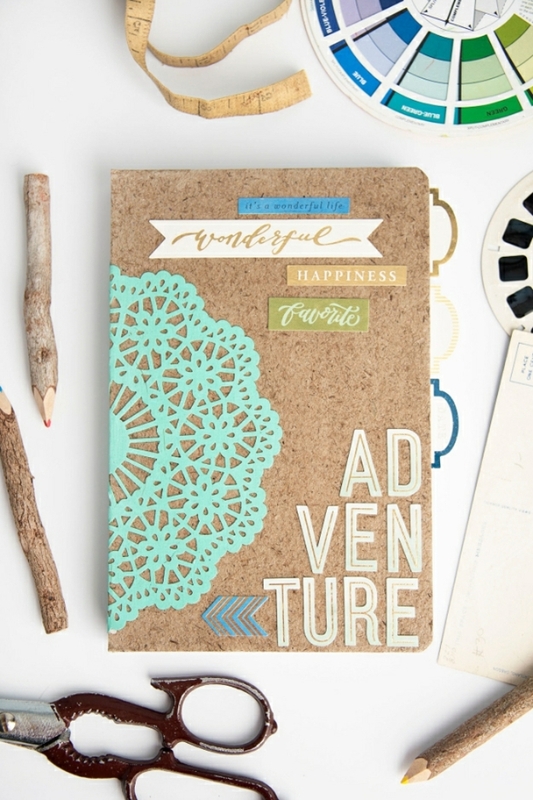 We have a wide selection of activities that are easy to make but look incredibly effective. Coloring books for adults have become incredibly popular in recent years. This is hardly surprising – here is just something inherently calming about bringing a black and white image to life using your skills and imagination. Mandalas are some of the most soothing images to color, due to their gorgeous symmetry, intricate details, and spiritual properties. For those new to the term, mandalas are circle-shaped drawings which incorporate different shapes and motifs. A sacred symbol in Buddhism and Hinduism, the mandala is created in order to aid meditation and represents the sacred geometry of the universe. 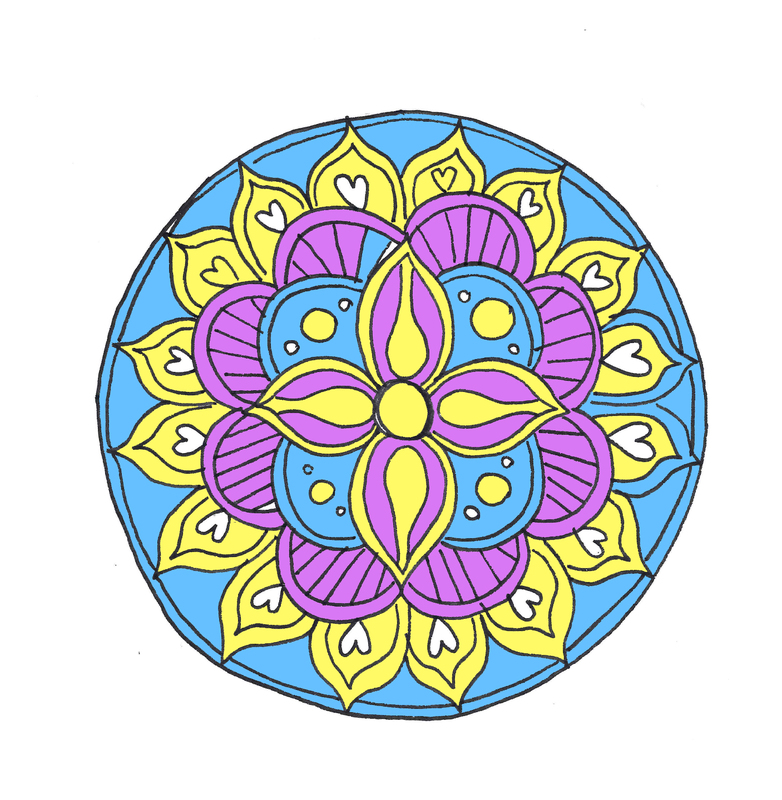 Although you can purchase ready mandala designs to color, drawing your own will enable you to experiment and show creativity. Besides, some spiritual guides believe that the mandala a person creates is a reflection of their internal state, so you can use it to find out more about yourself. 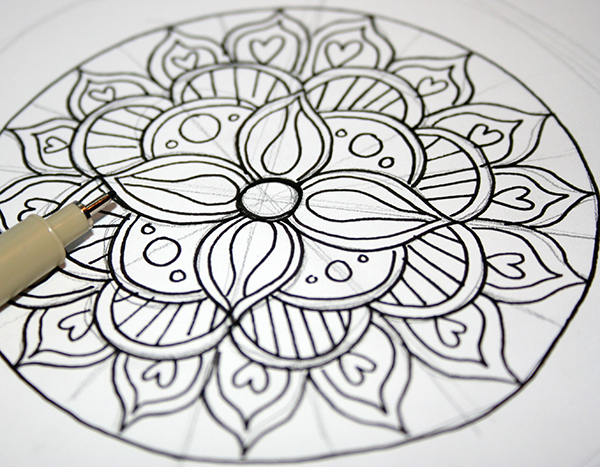 Drawing your own mandala design from scratch might sound difficult, but in fact, all you need to do is let your imagination take over and see where it takes you! 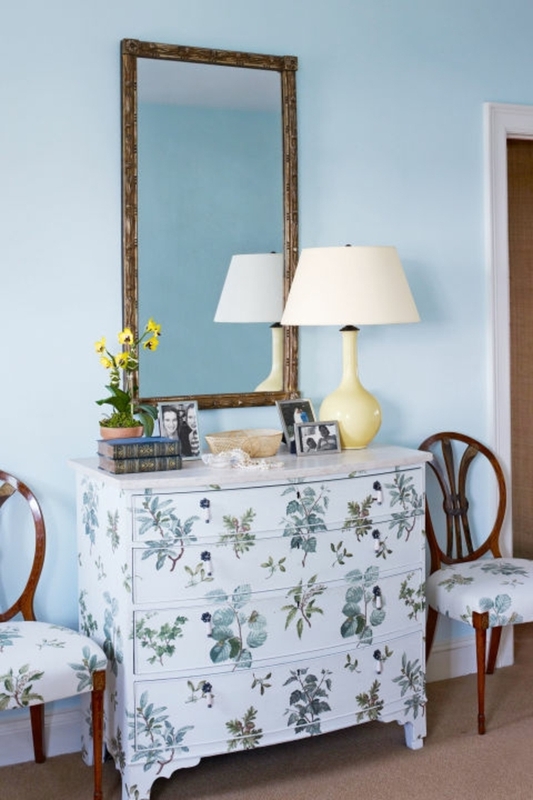 The round stencil can be any flat round object, such as a small plate or a large roll of masking tape. 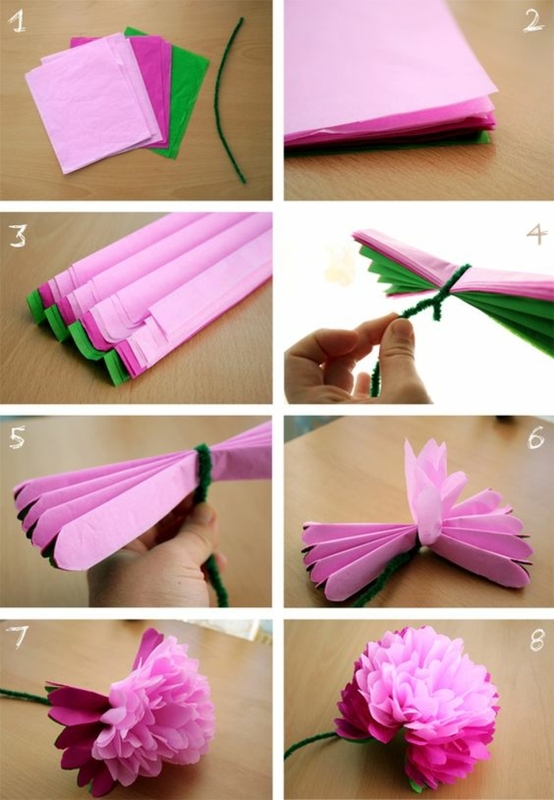 Place it on the piece of paper and trace its contour with a pencil. 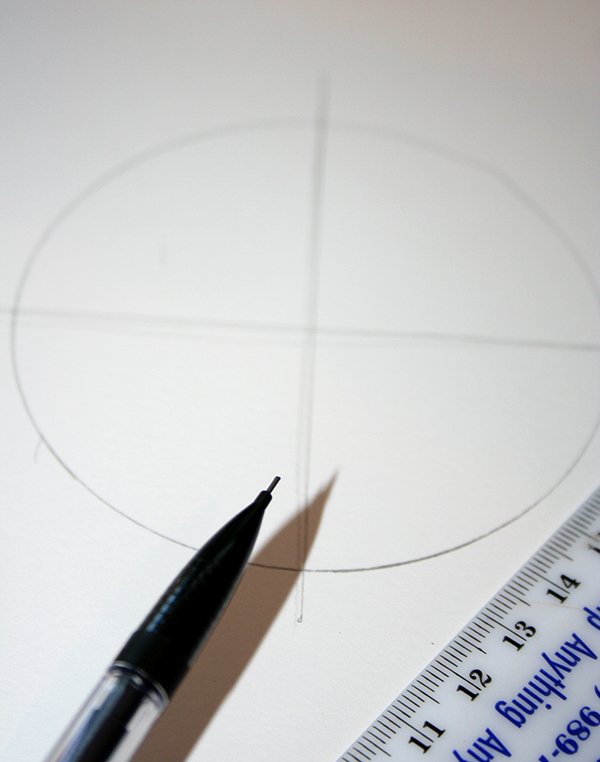 When done, use the ruler to draw two lines – one vertical and one horizontal, ensuring that they cross in the center of your circle. After you’ve finished, you should have four equal sections. Now, draw a smaller circle in the middle. 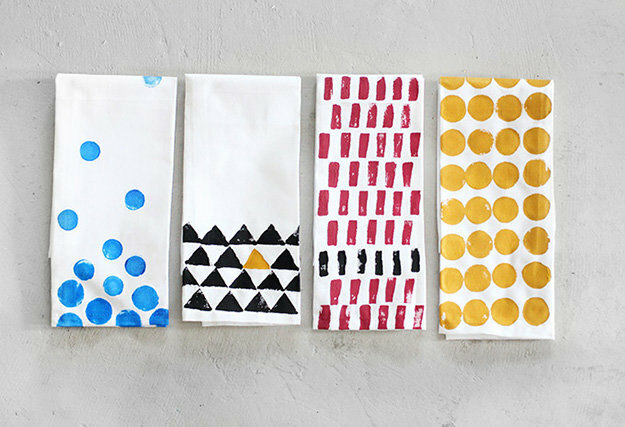 The next step is to choose the type of pattern you would like to use. 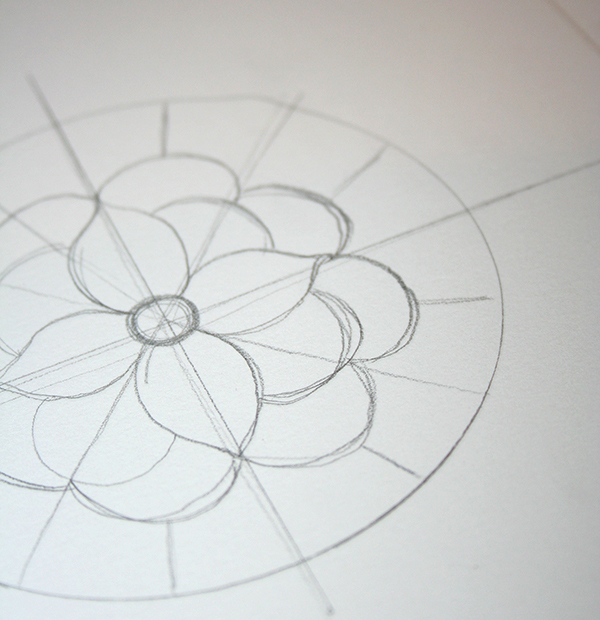 Our team decided to go for a flower mandala, so we drew a simple bloom with four petals in the center of the circle. Then we added more and more symmetrical patterns until we were happy with our design. 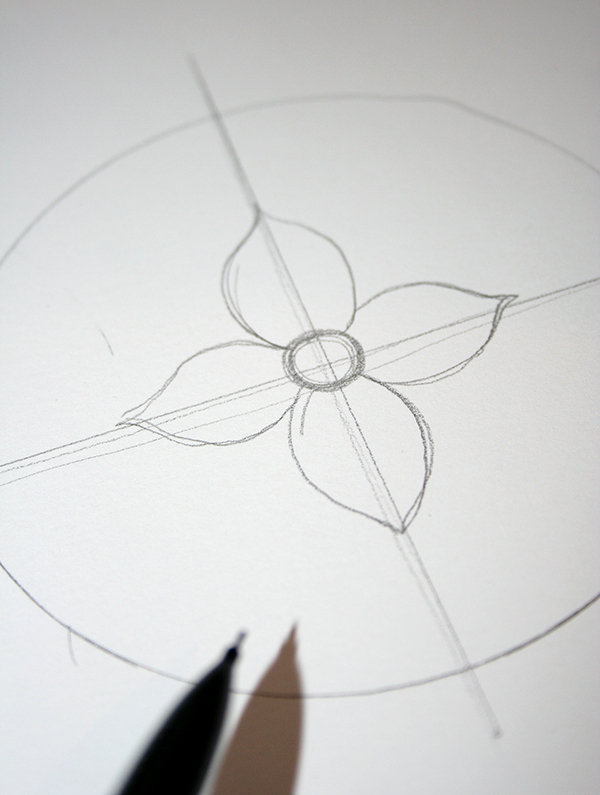 Once the sketch is complete, you can start outlining it with a fine liner, black marker, or black ink. 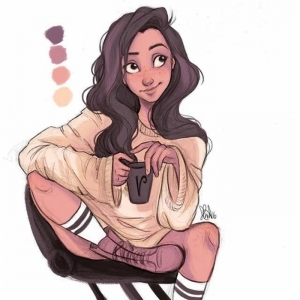 When your outline is done, you can start coloring. Here the possibilities are only limited by your imagination! 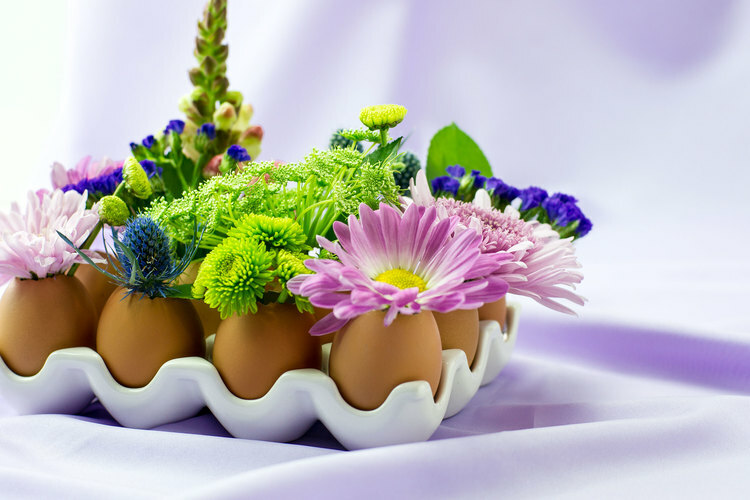 Experiment with different colors and, above all, have fun! You can see how our mandala turned out in the photos below. 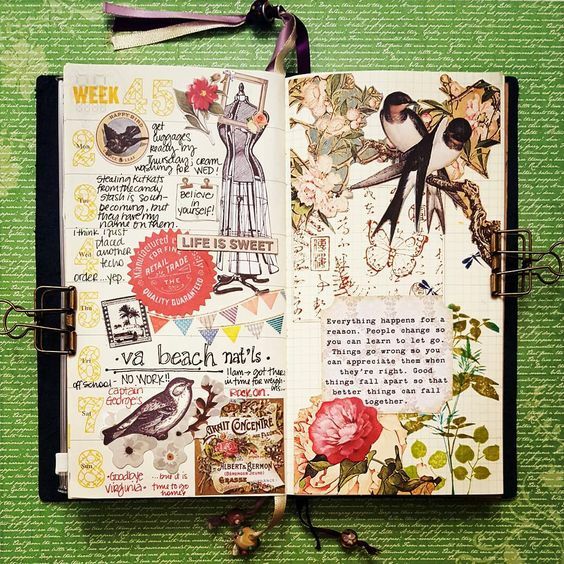 The fourth step allows you to unleash your imagination and come up with fun shapes, patterns, and details. Make sure to carefully sketch them with pencil before adding ink! The fifth and final step is, perhaps, the most fun one. 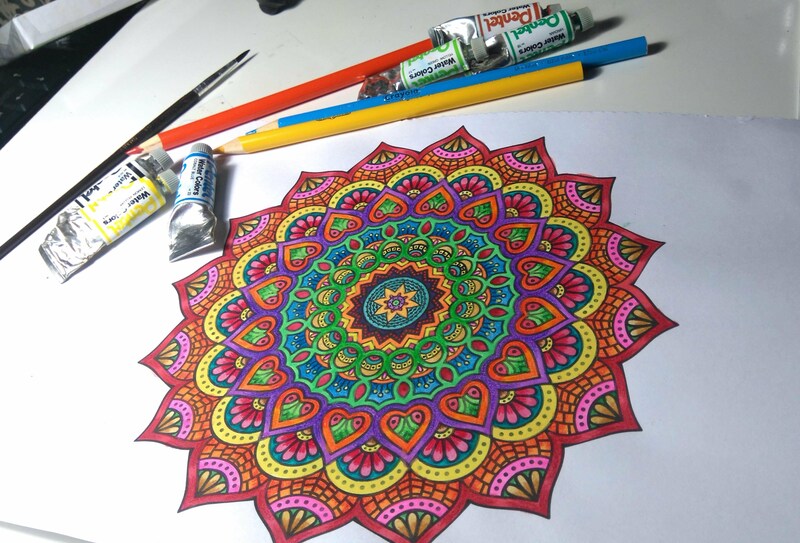 Color in your mandala, using a medium of your choice. Many prefer colored pencils or markers but we opted for a splash of digital color. 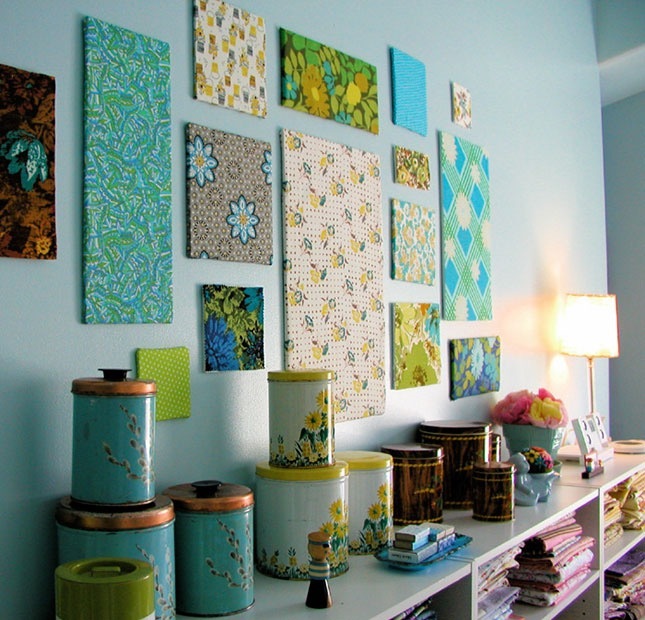 Decoupage, or the art of decorating objects with colorful paper, is one of the most popular craft ideas. 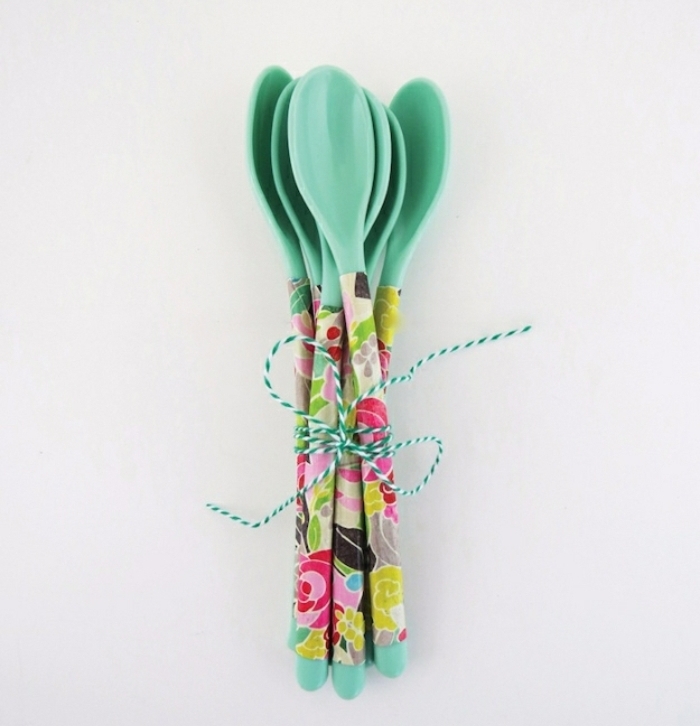 Easy, fun and very effective, it can be used to give new life to used items, to make presents for friends and family, and to create works of art. In addition, like many other handworks, it reduces stress and helps you unwind. 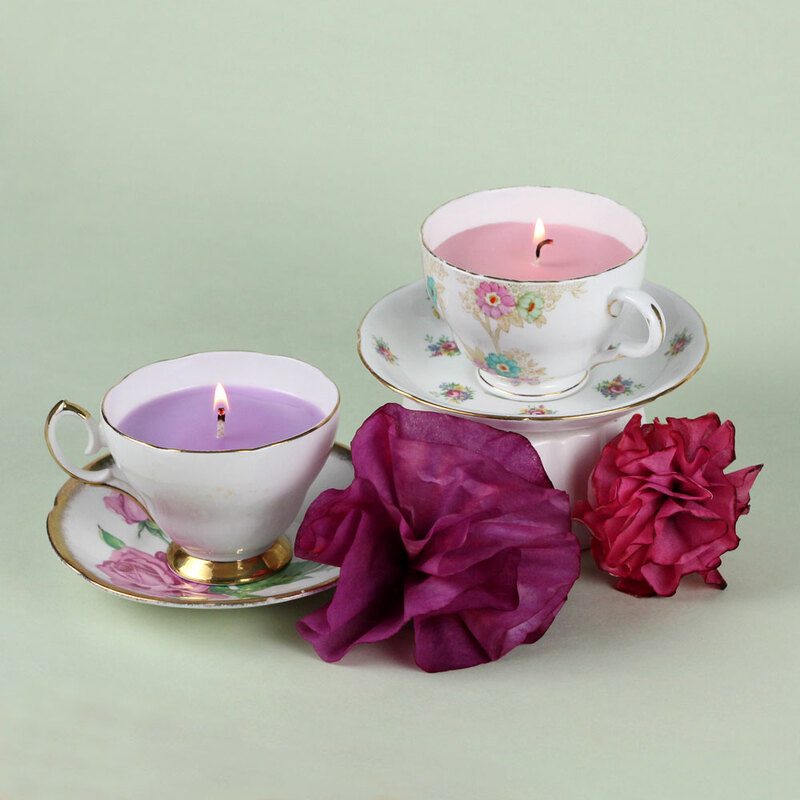 One of the best things about decoupage is its versatility. 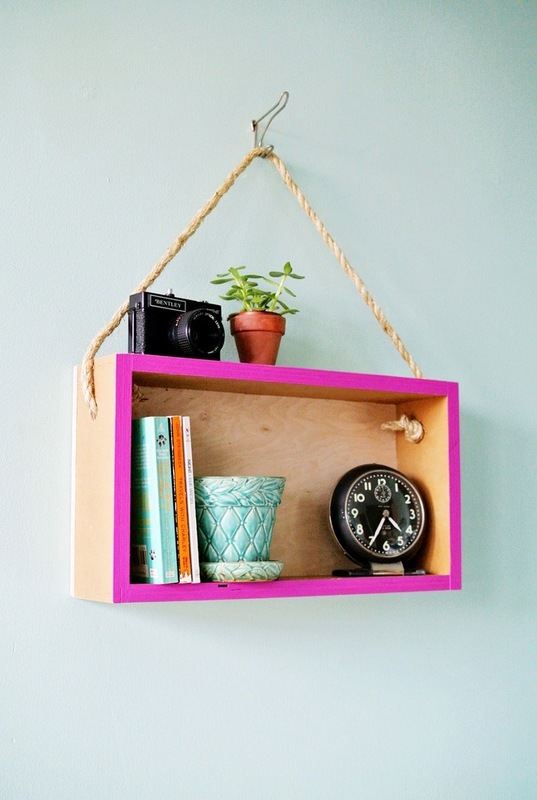 It can be used on a wide selection of objects and materials – wooden boxes, jars, bottles and even furniture! 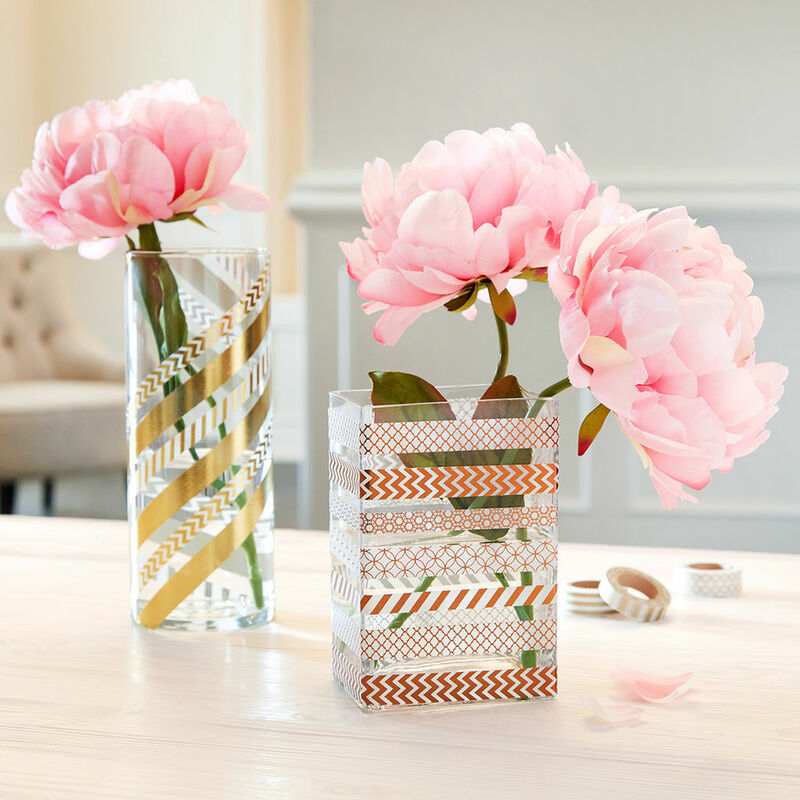 All you need is some decoupage glue, a brush, and paper of your choice – napkins, colorfully patterned paper cutouts, newspapers, magazines or old books. 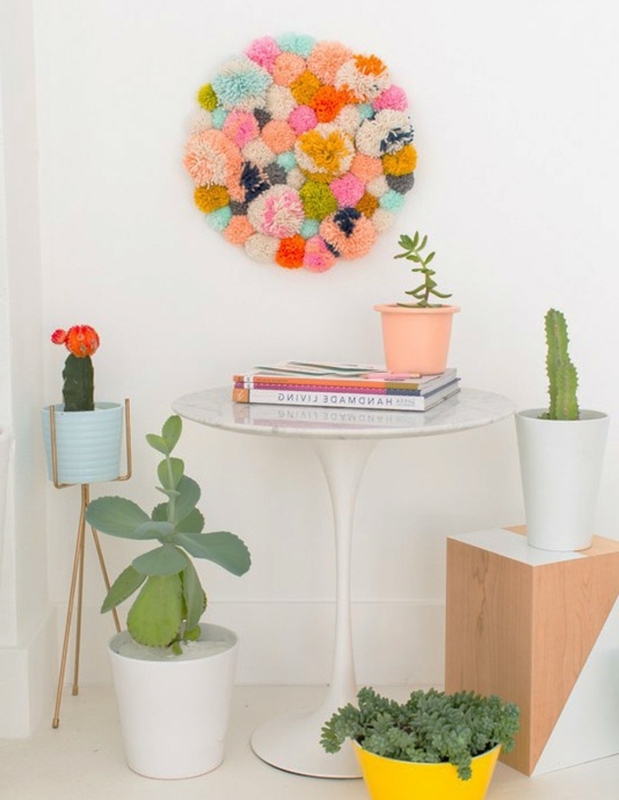 The end result is a gorgeous and one-of-a-kind handmade item which will brighten up any room. First of all, you need to paint the milk bottles, using white acrylic paint. 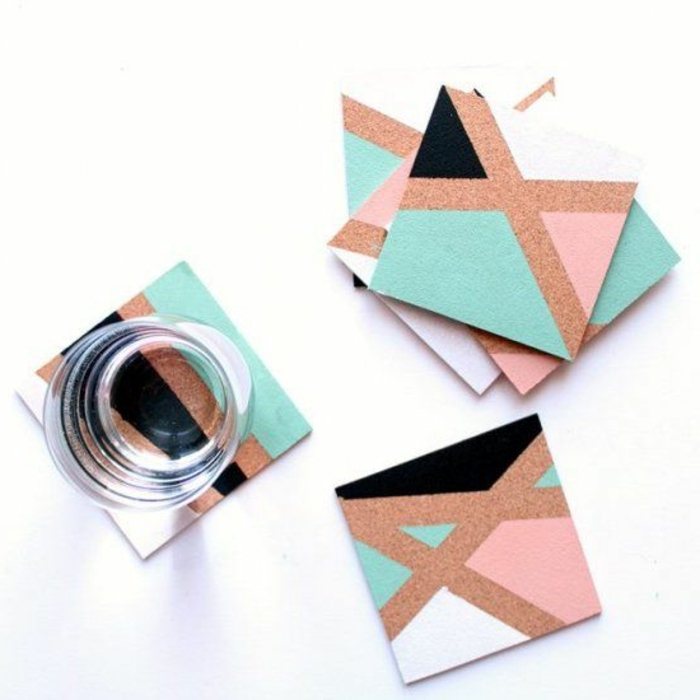 Once the paint has fully dried, apply the prepared paper cutouts and cover them with decoupage glue, using a flat brush. Leave it aside to dry and then finish by adding a layer of varnish. Simple, right? If you’re in doubt about any of the steps described here, take a look at the photo tutorial below. Here is another beautiful example. 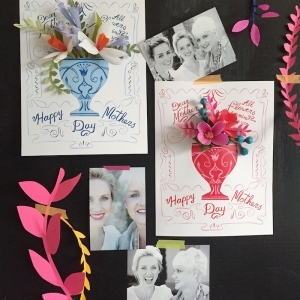 We love the lovely cutouts, stickers and colorful text! 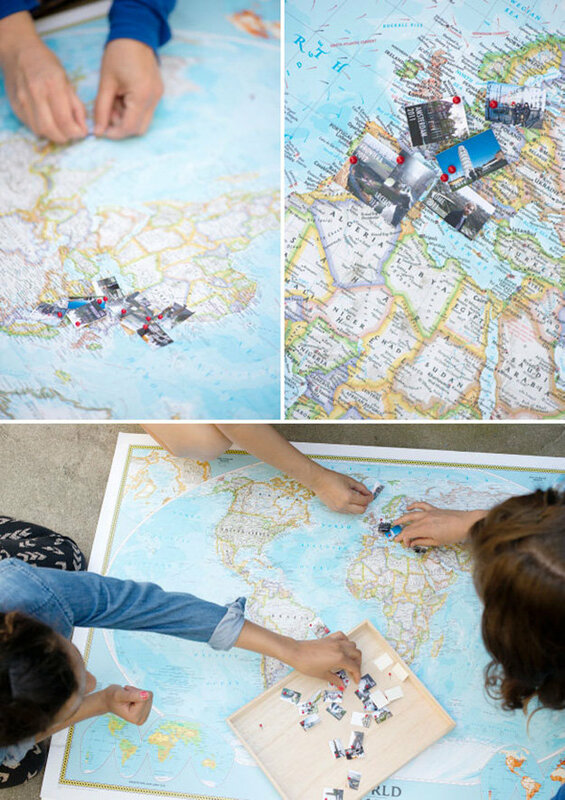 If you would like to create a travel diary using scrapbooking techniques, we can offer you inspiration and some great ideas here. 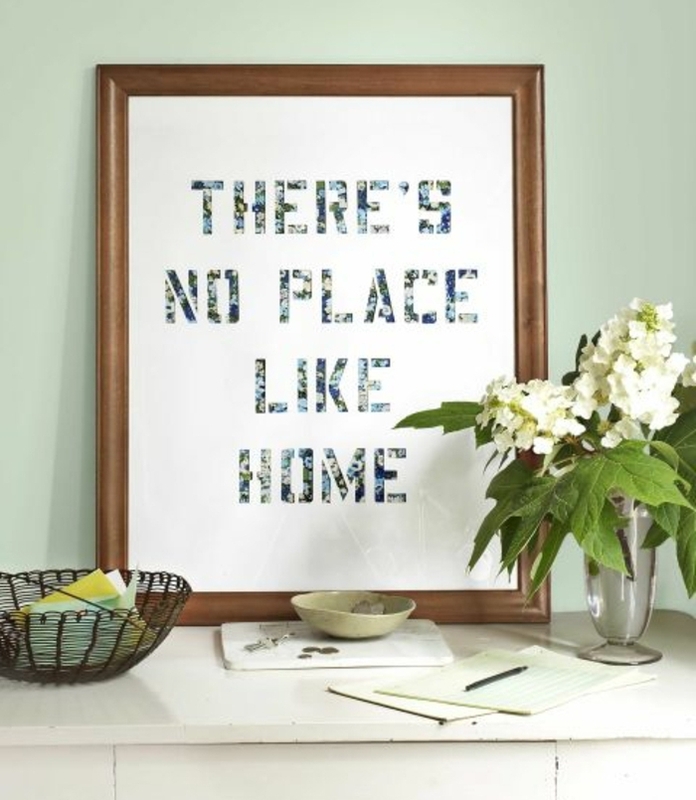 There is hardly anything nicer than decorating your home with lovingly made DIY items and furniture. 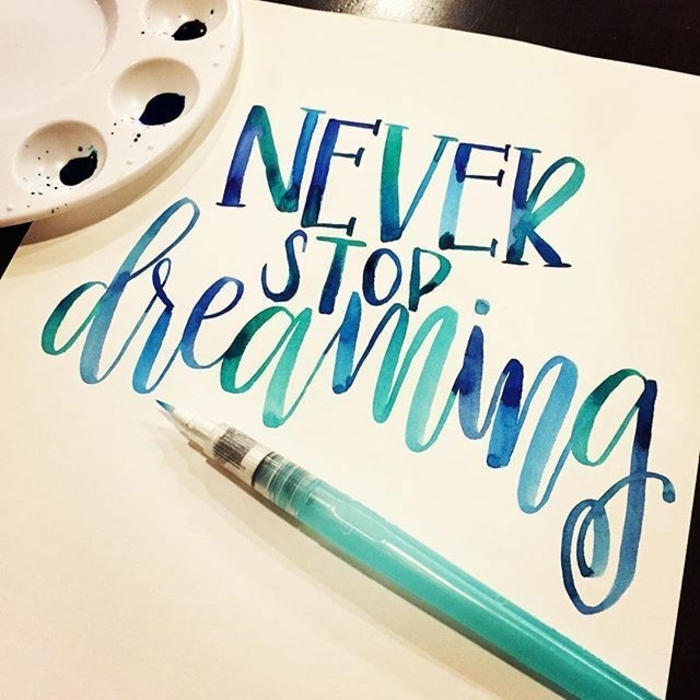 With so many different ideas and tutorials out there, the possibilities are virtually endless. 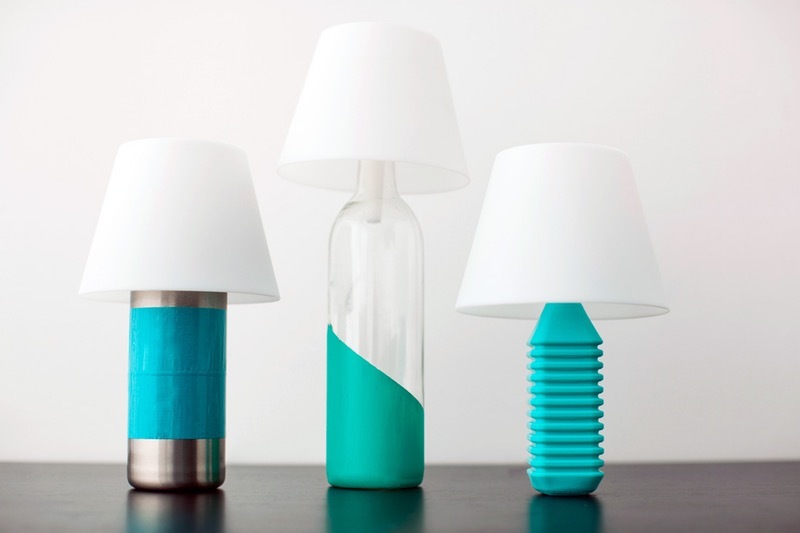 However, we decided to focus on two really easy and clever ways of customizing household objects. 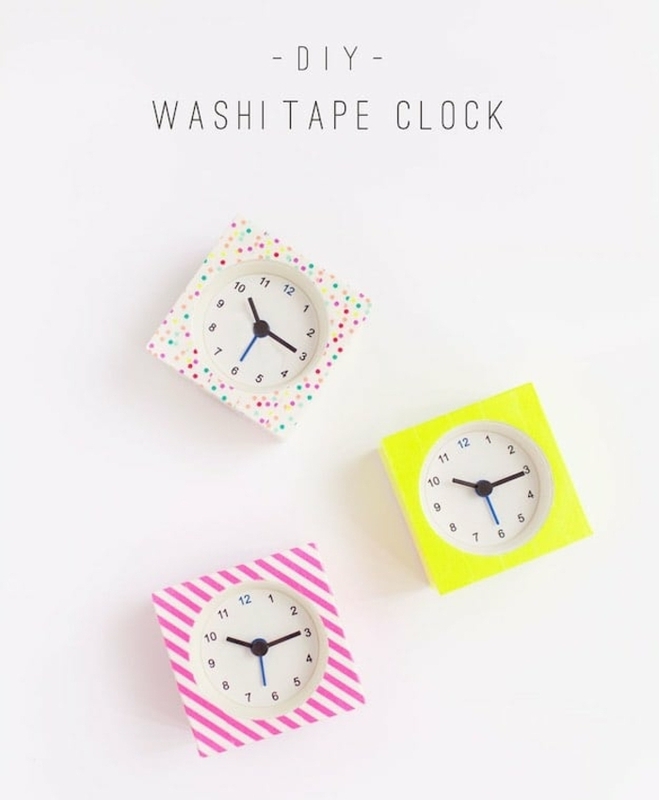 The first on utilizes colorful strips of patterned washi tape and, although it sounds pretty simple, the results are amazing. Most arts and crafts stores have a wide variety of washi tape. 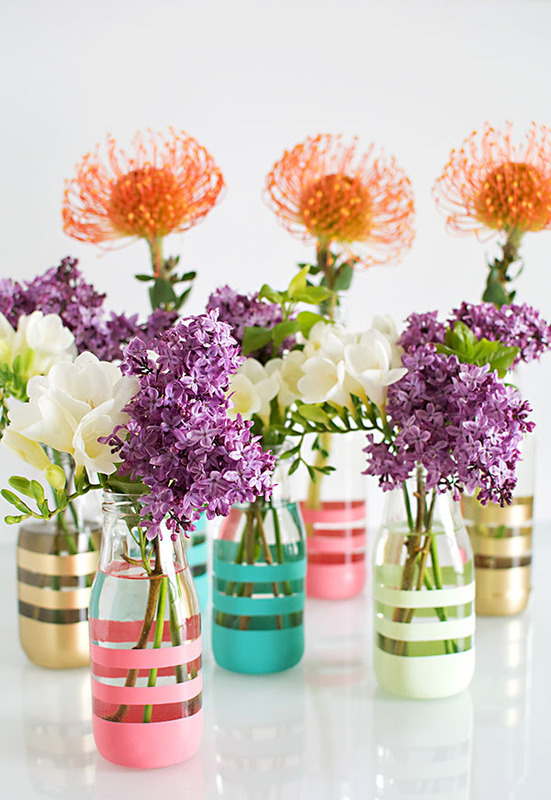 Just buy a couple of rolls in your preferred colors and unleash your creativity. 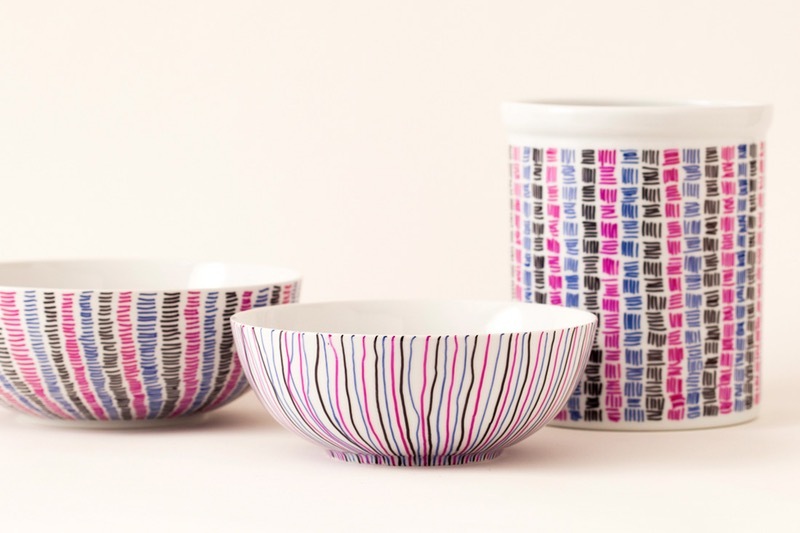 You can make lovely symmetrical patterns or experiment and try something more abstract. The choice is yours! 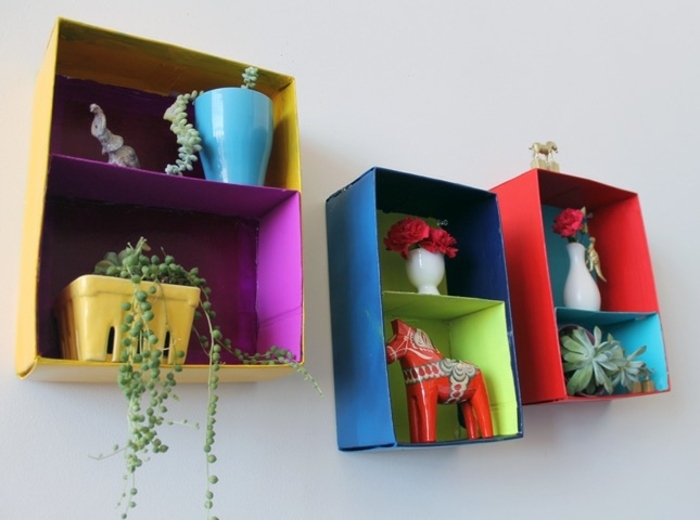 Our second idea is partially painting objects, by using masking tape and cans of spray paint. 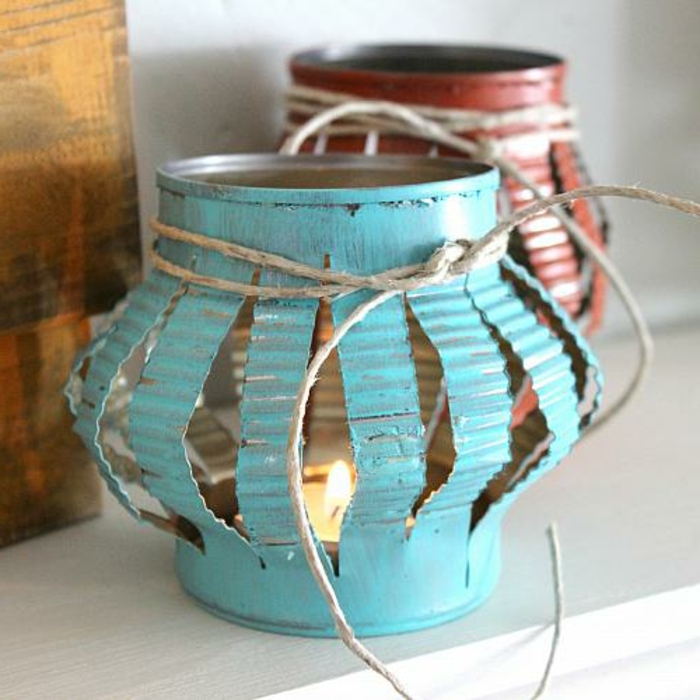 Inexpensive and easy, it’s one of the top choices on our craft ideas list. 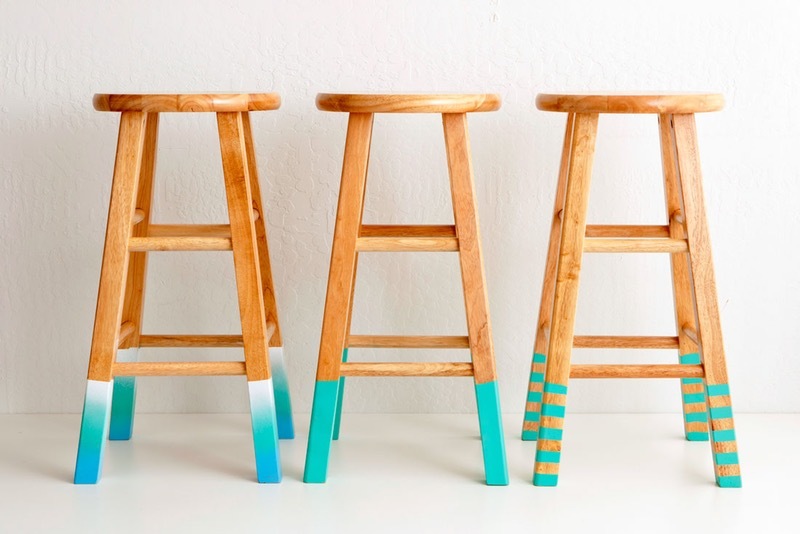 The process is fairly straightforward – take the item you’d like to paint and stick pieces of masking tape on it, forming patterns of your choice. Then spray with paint, making sure to cover the whole surface. Leave aside to dry and remove the masking tape. 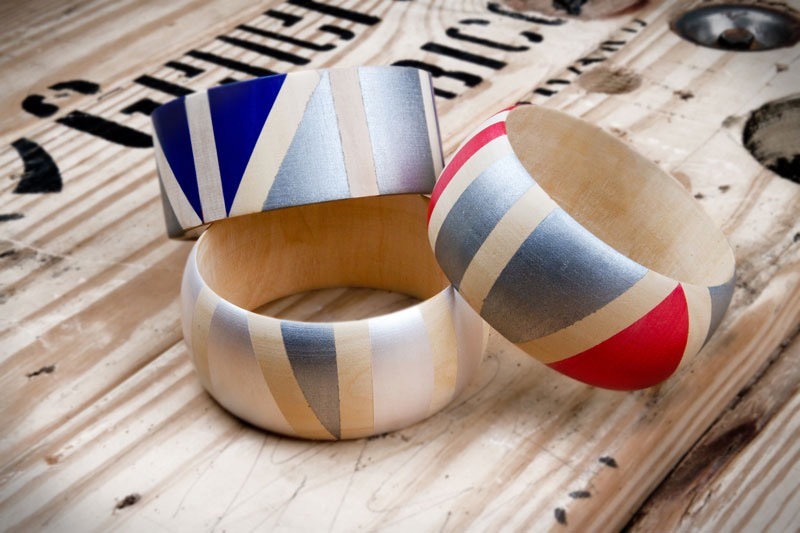 The result is a beautiful item with a striped effect. 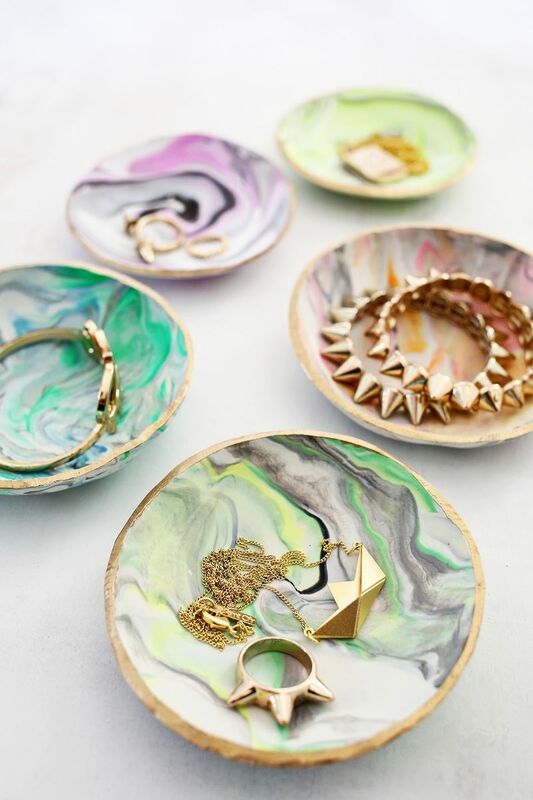 Making jewelry has never been so easy! Nowadays, you can find all the necessary materials in art shops. 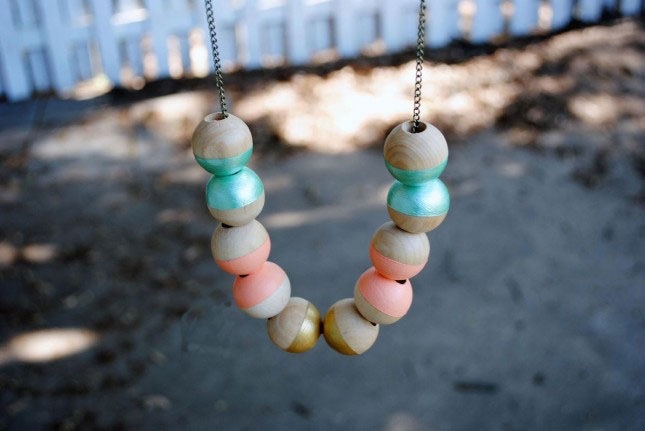 Bracelets, necklaces, earrings, and brooches – they can all be made at home, in just a few steps. 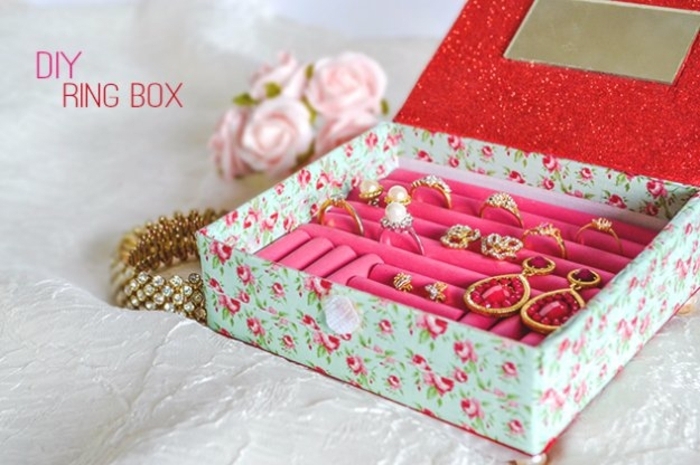 Polymer clay is a very popular choice for amateur jewelry making because it allows people to create all kinds of cute, fun and unusual shapes. 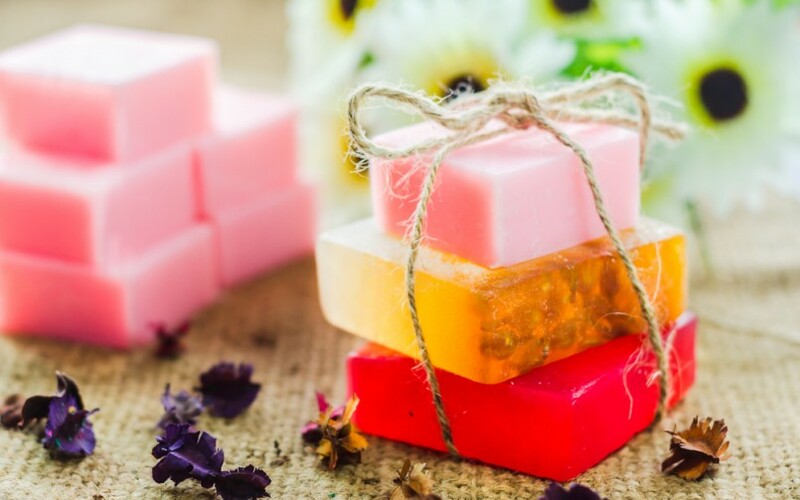 Besides, you can even make polymer clay substitute at home, using household objects. Naturally, if you’re too busy, you can just purchase the real thing from the store. 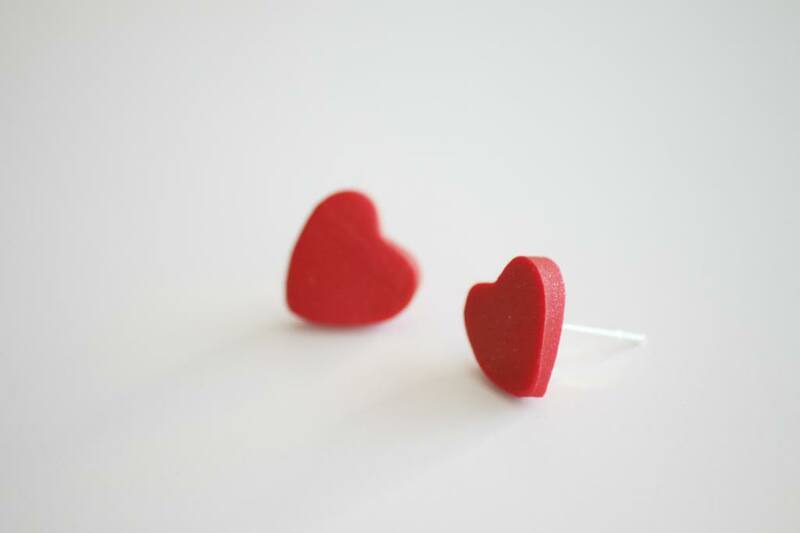 Here we have a sweet and simple suggestion for polymer clay earrings. 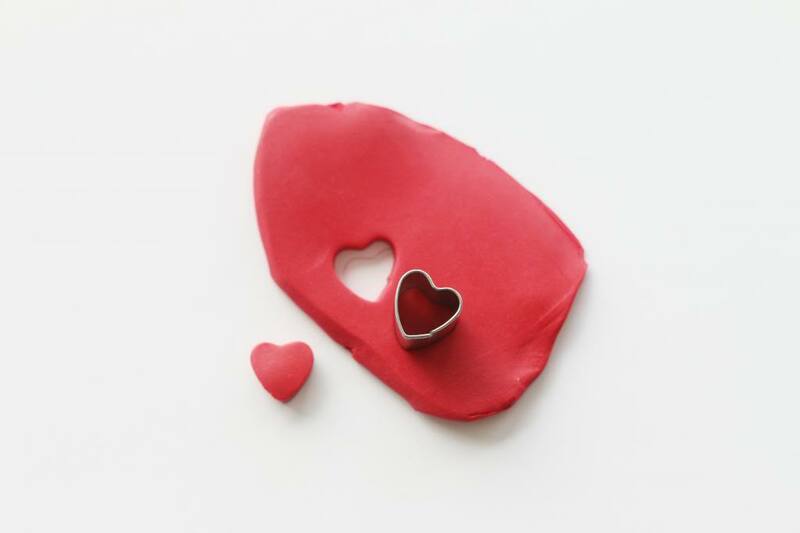 Knead the polymer clay until it’s soft and easy to mold. Using the modeling roller, flatten the clay, until you have an even layer. Then use the mold to cut two small heart shapes. 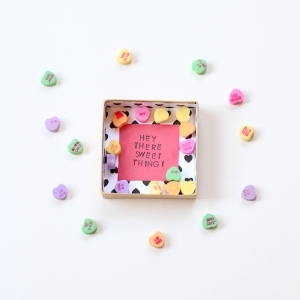 Cover your tray with baking paper and carefully place the small heart-shapes inside. Bake the clay according to the instructions on its package. 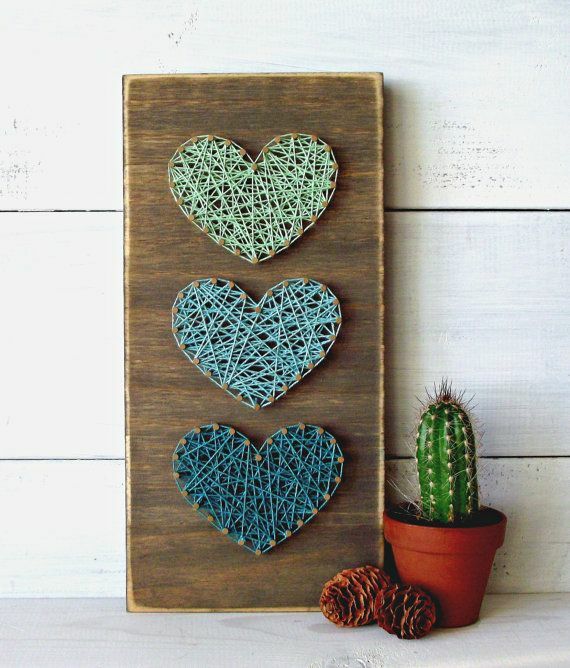 Once done and cooled, stick a stud to each heart using the polymer glue. Your earrings are ready to wear! 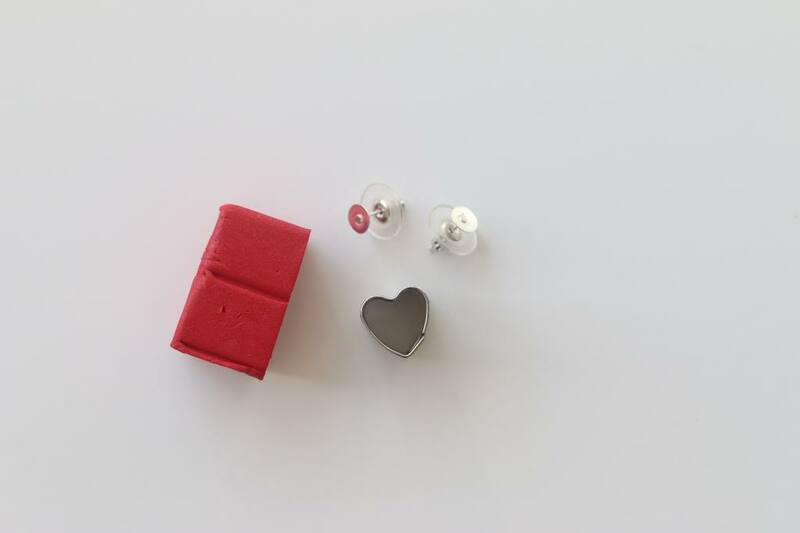 Here are all the materials you will need, in order to make your own heart-shaped stud earrings. 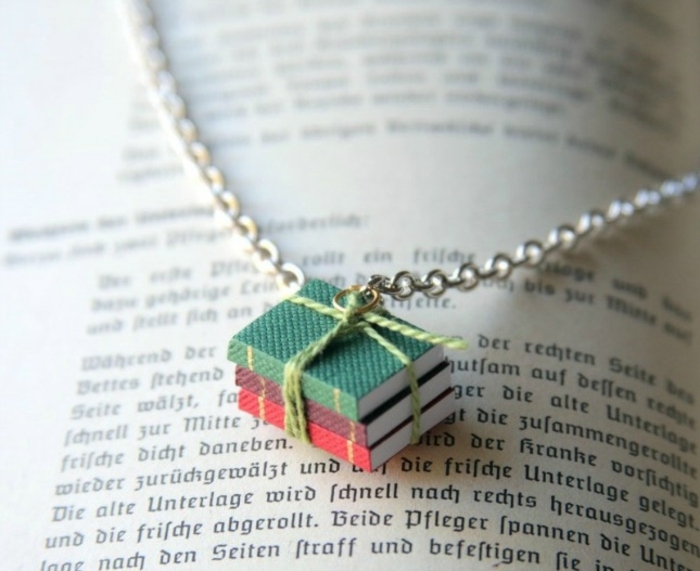 A great idea for a Valentine’s Day Gift! 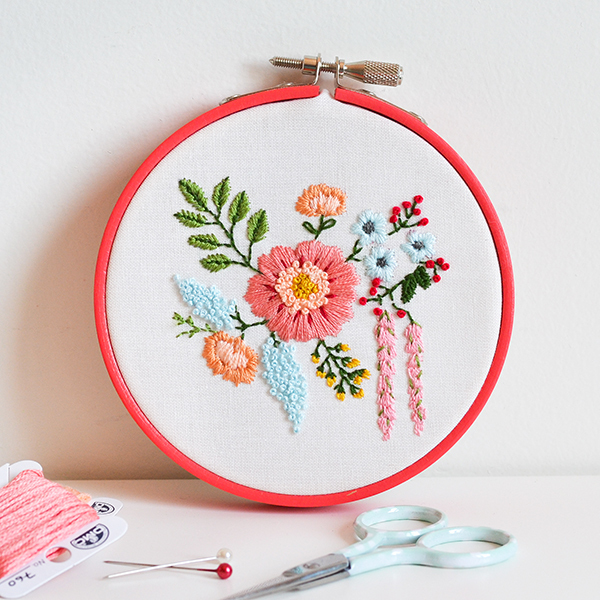 Embroidery used to be an activity mainly associated with sweet old ladies, but now it’s coming back in a big way! 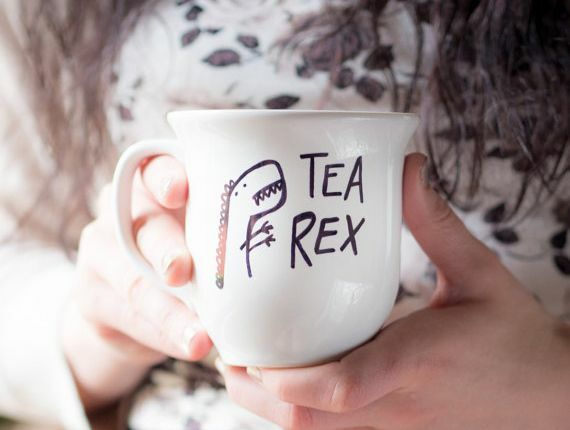 Many young artists use it to create customized clothes, bags, and accessories. Although it does take a bit longer to master and execute, the end results are so worth it! Plus, there are many bloggers who offer guidelines and tutorials. 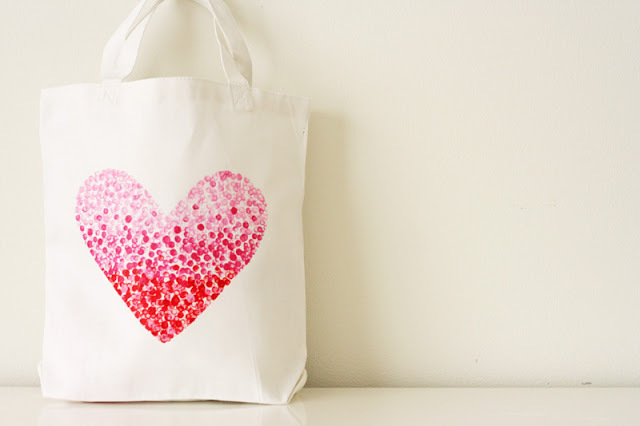 Even beginners can learn a few embroidery techniques fairly easily. All you need to get started are needles, thread in different colors, fabric, an embroidery hoop (pictured below) and a pattern to follow. 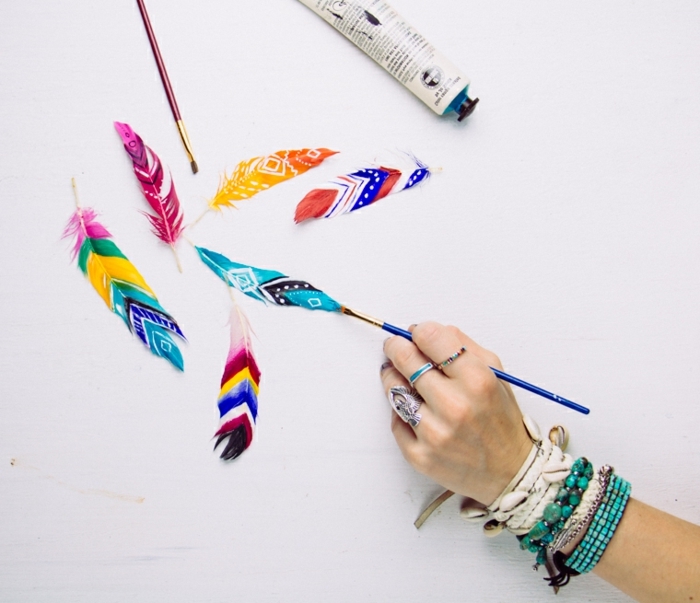 Shrouded in mystery and mysticism, the dreamcatcher is one of the most popular craft ideas among DIY enthusiasts. A simple wooden hoop decorated with a spiderweb-like net, beads, and feathers, this Native American decoration is said to protect our sleep by trapping nightmares. 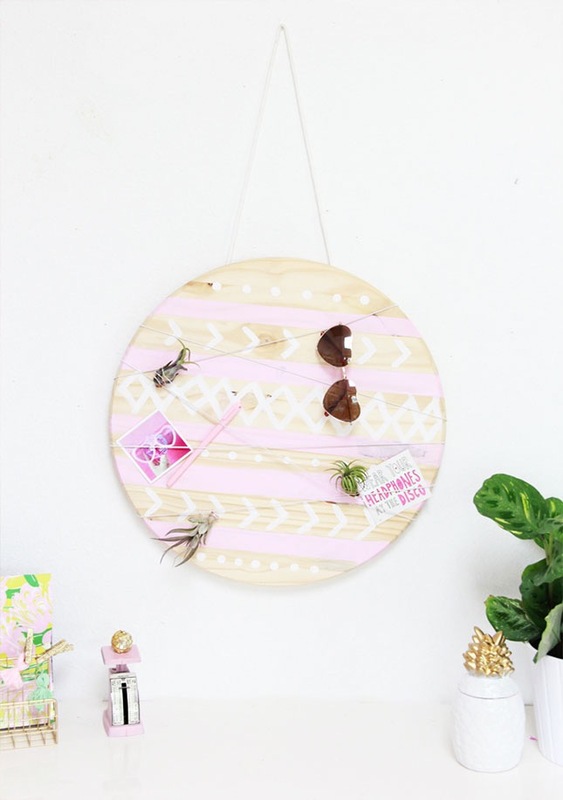 To make your own dreamcatcher, you will need a wooden or metal hoop and colorful thread. Once you have woven a pattern you like, you can decorate it with feathers, beads, small chains, ribbons or other similar items. 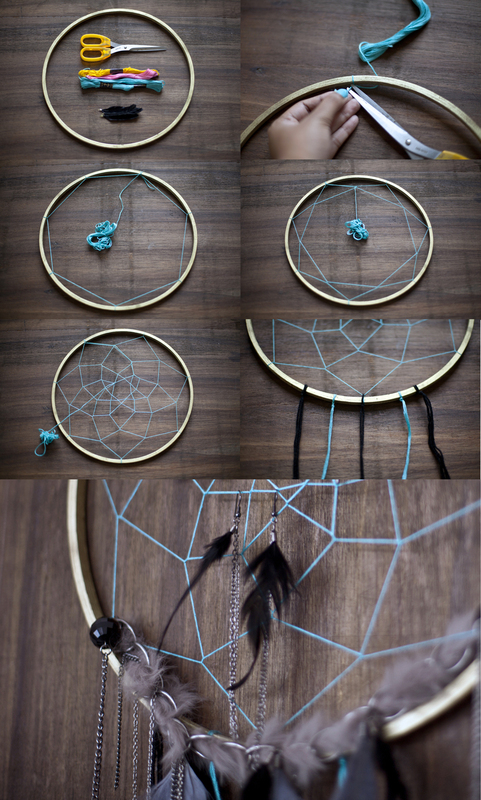 If you are wondering how to weave your dreamcatcher’s web, why not use this handy tutorial? 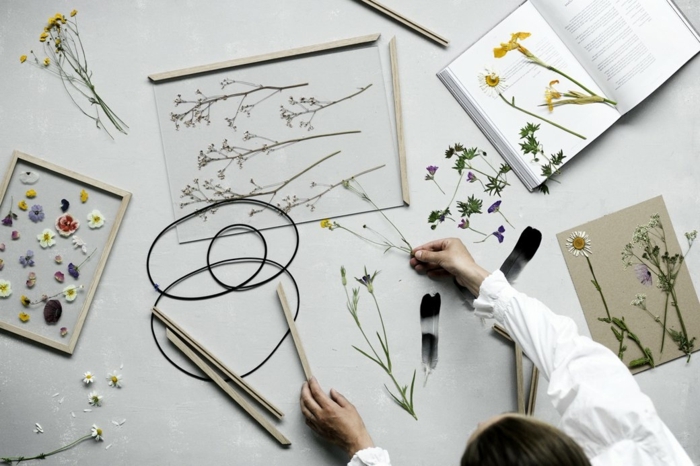 This is the perfect hobby for people who want to have fun and create beautiful and useful objects, while also protecting the environment. 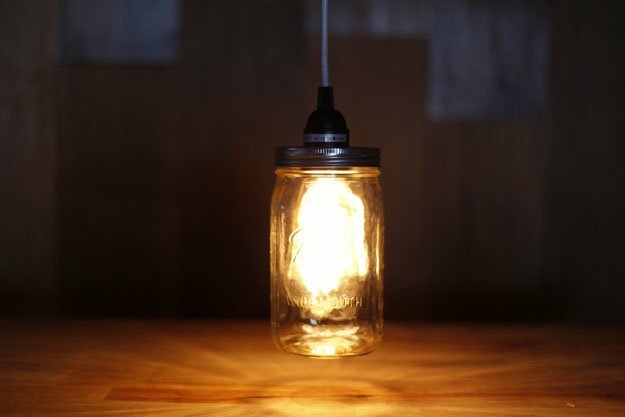 Apart from the popular trend of using old wooden pallets to create cool furniture, you can also upcycle mason jars, tin cans, plastic bottles and even toilet paper rolls. 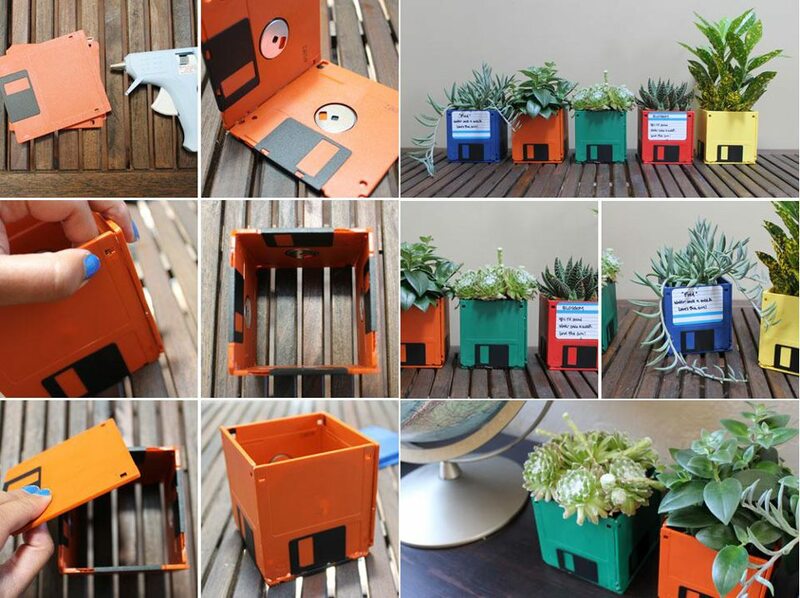 You might think that old floppy disks are totally useless nowadays, but think again! They can also be transformed into unique and functional household items, as our example shows. 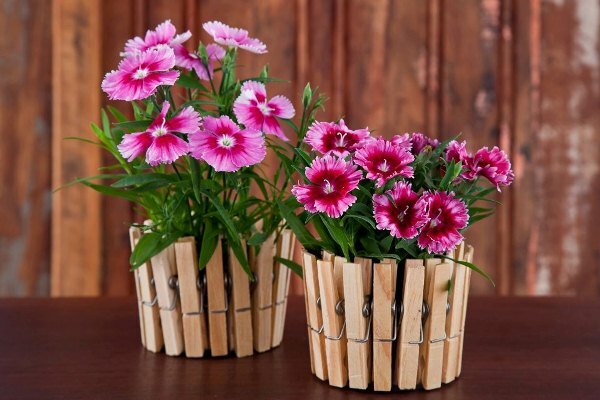 One way to utilize them is by making a cool, colorful flower pot. 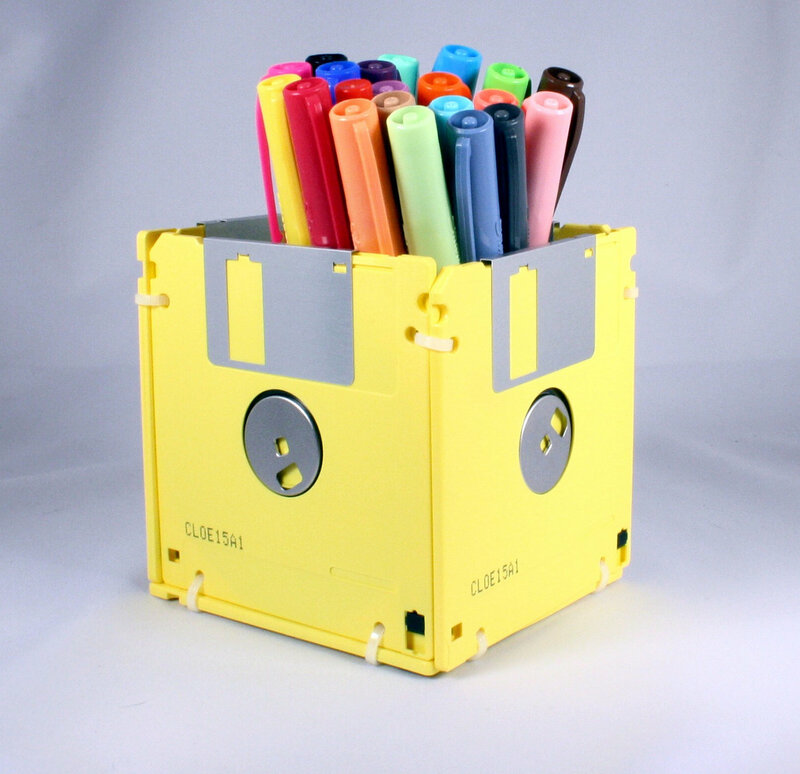 Simply take five floppy disks and stick their edges together using a glue gun. 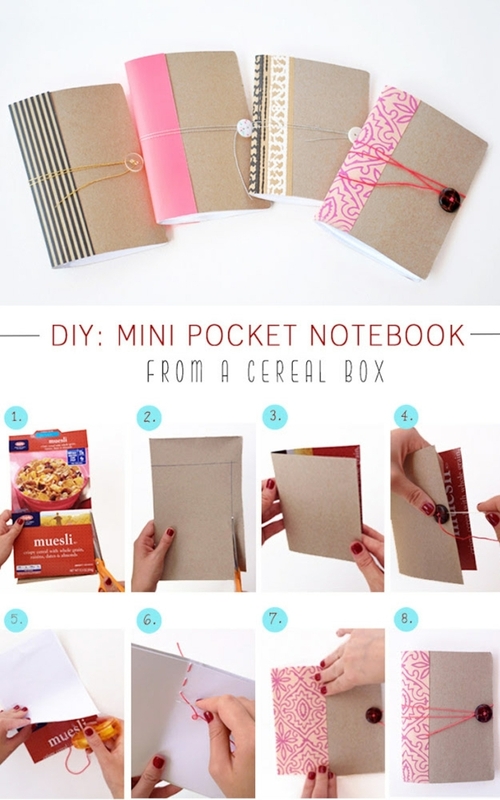 Alternatively, you can use the same technique to create a pencil holder or an organizer for your stationery. The photos below demonstrate how easy it is. Add a spring to your step by customizing your favorite pair of sneakers! 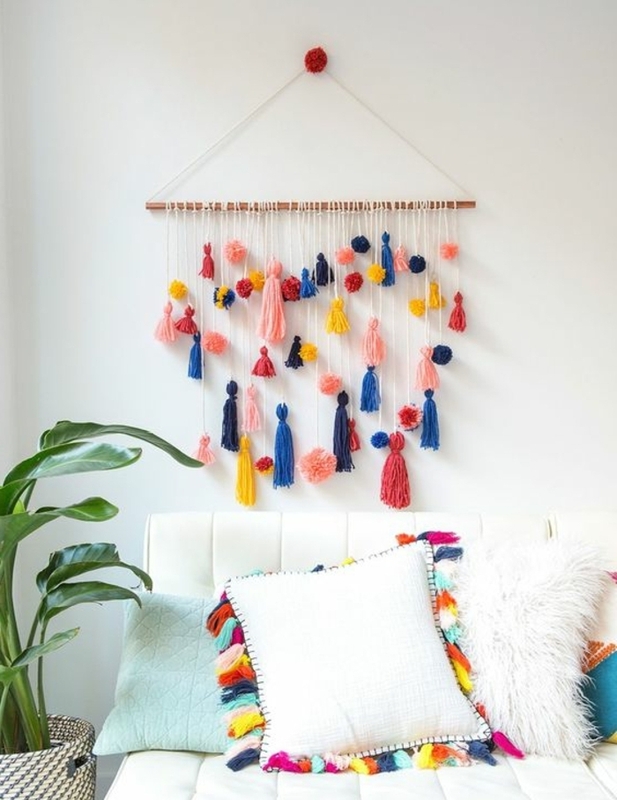 Unique wall decoration made of pom-poms! 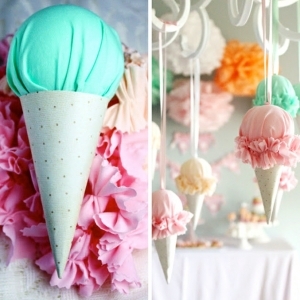 A really cute, colorful and fun idea! 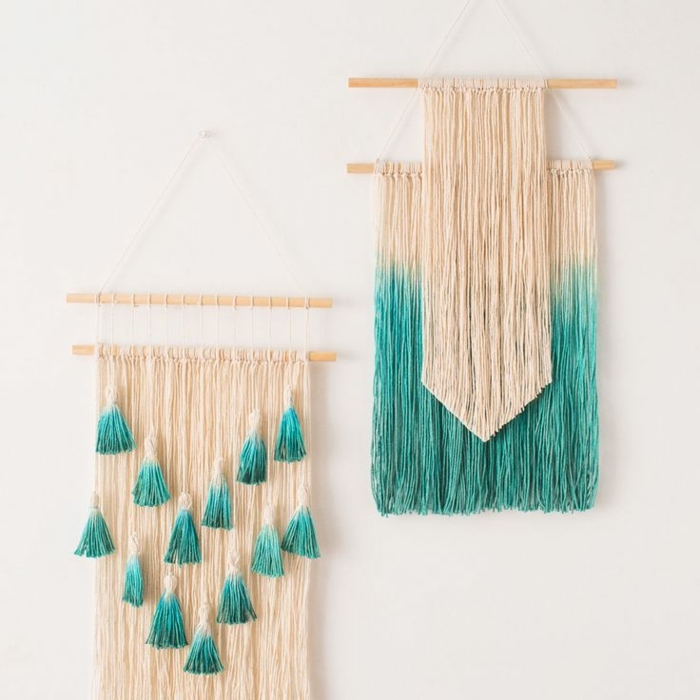 Macrame is a form of knotting technique used to create beautiful fabric shapes. 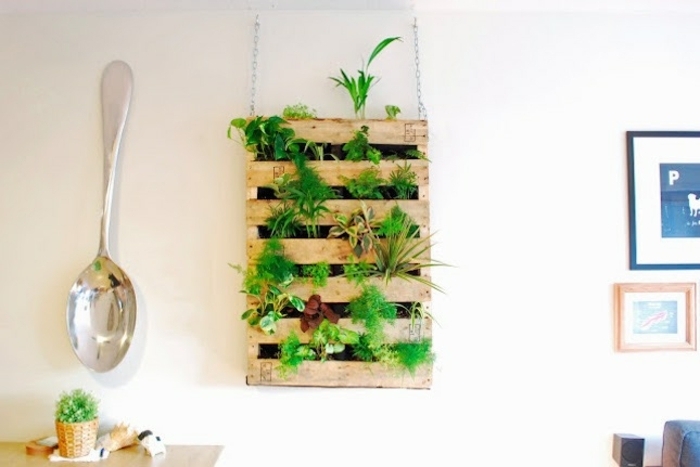 It can be utilized in the making of clothes, jewelry and even decorations for your walls! 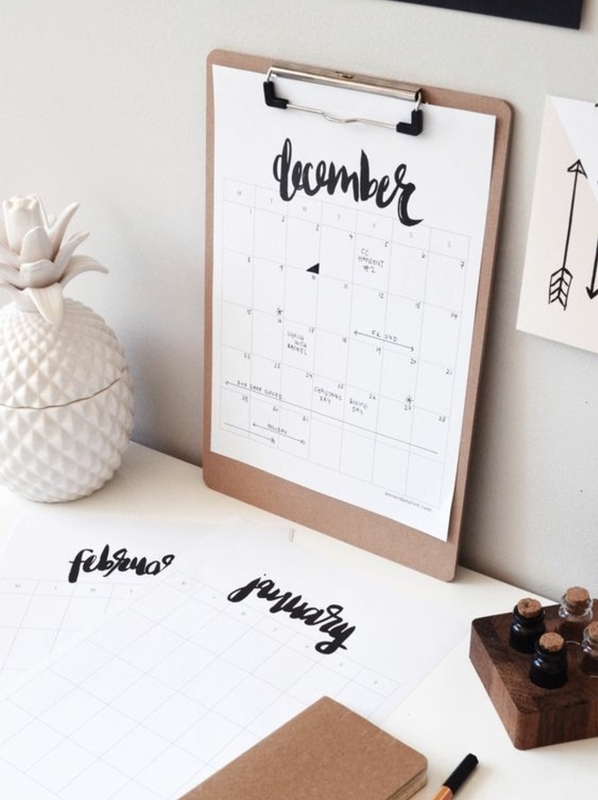 Make a DIY desktop calendar, a vase from eggshells, a set of decoupage spoons…we have lots of craft ideas you can try! 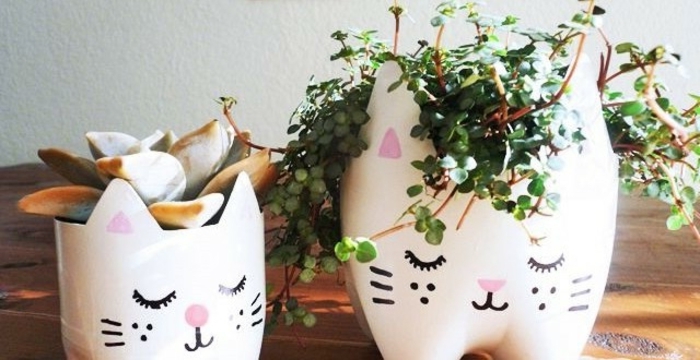 Cat and kitten flower pots, made from decorated plastic bottles. 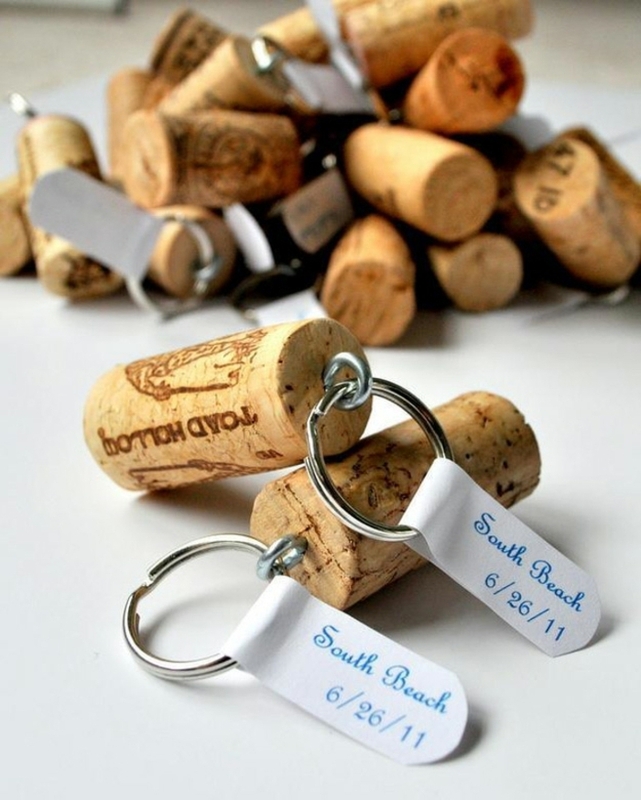 A charming, eco-friendly and incredibly creative idea! 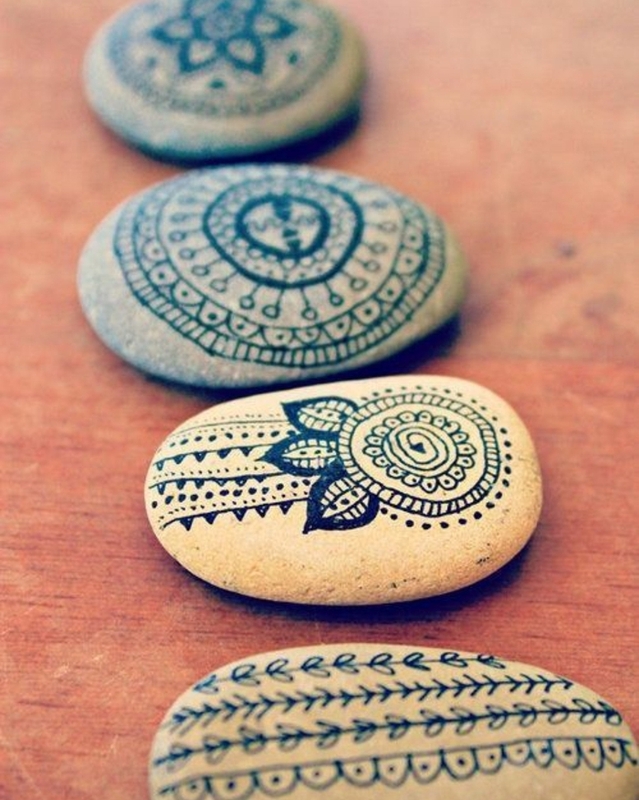 Destress by drawing beautiful mandalas and intricate patterns on smooth river stones. 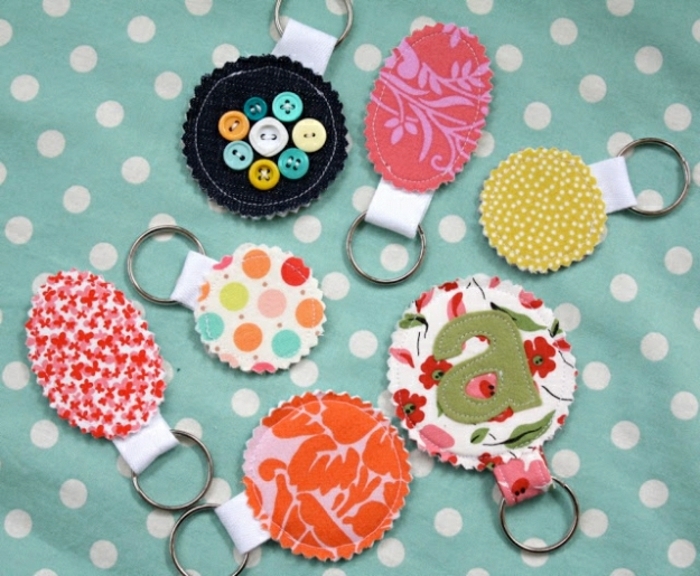 Later you can use them for paperweights, decorations or even gifts! 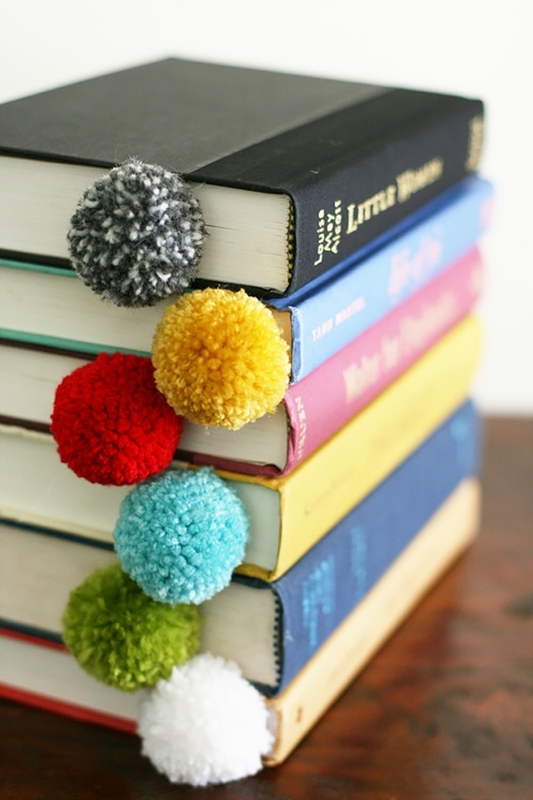 Multicolored decoration made from fluffy pompoms,or a hanging garden from wooden crates? 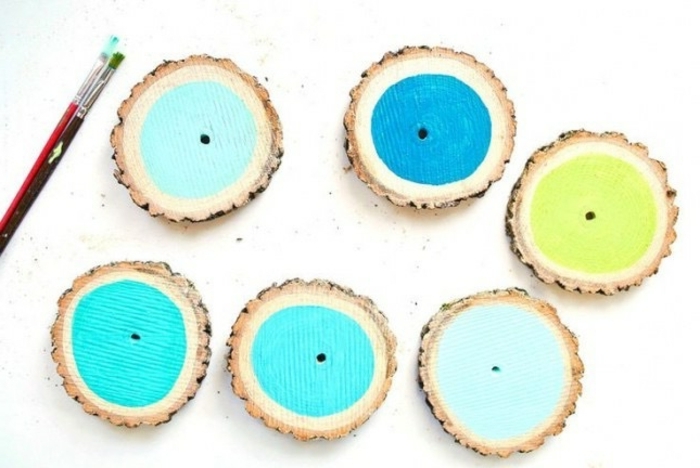 There are so many craft ideas to try! 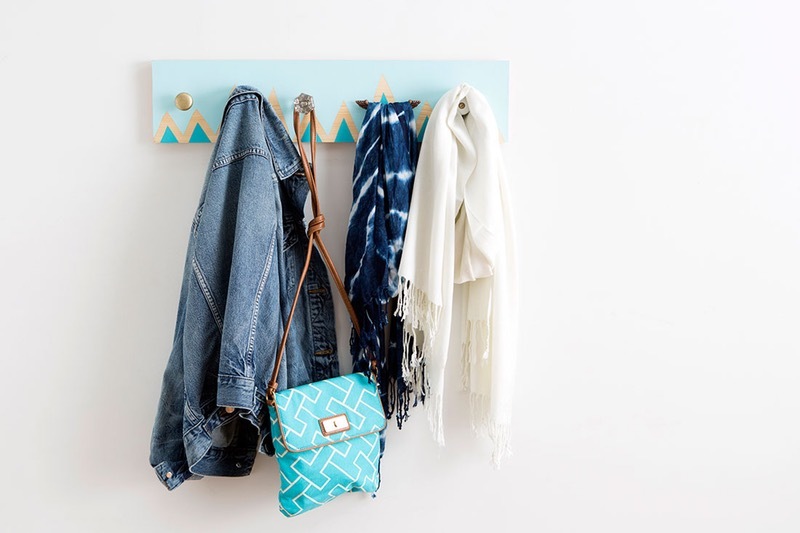 Transform a wooden crate into a hanging shelf, add a splash of color to your stools, or make an original organizer. 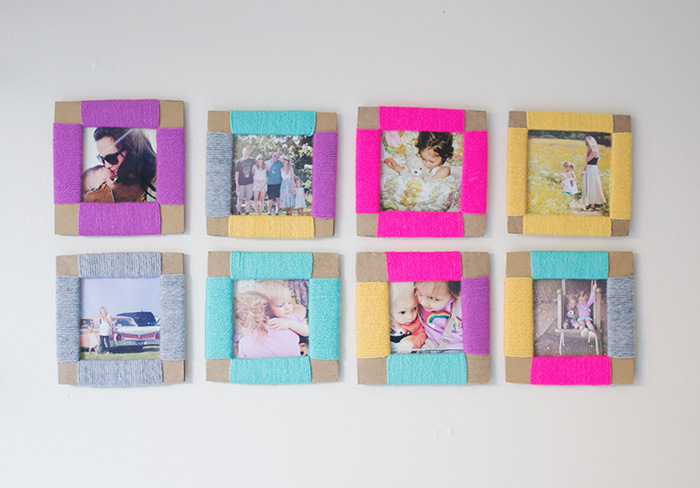 Awesome craft ideas you can try today! 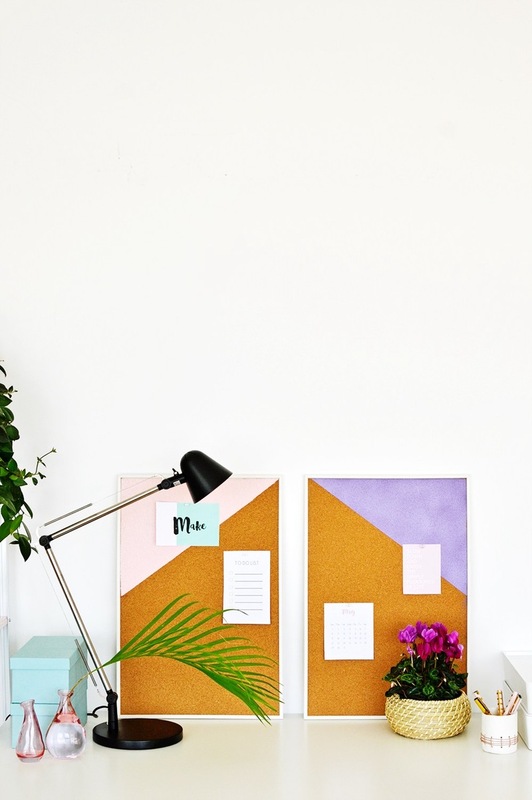 We love this dreamy light up neon wall decoration!